Welcome to our Luxury Ski Inn!!!! A very private home hidden up a long driveway with beautiful mountain views, quiet neighborhood. 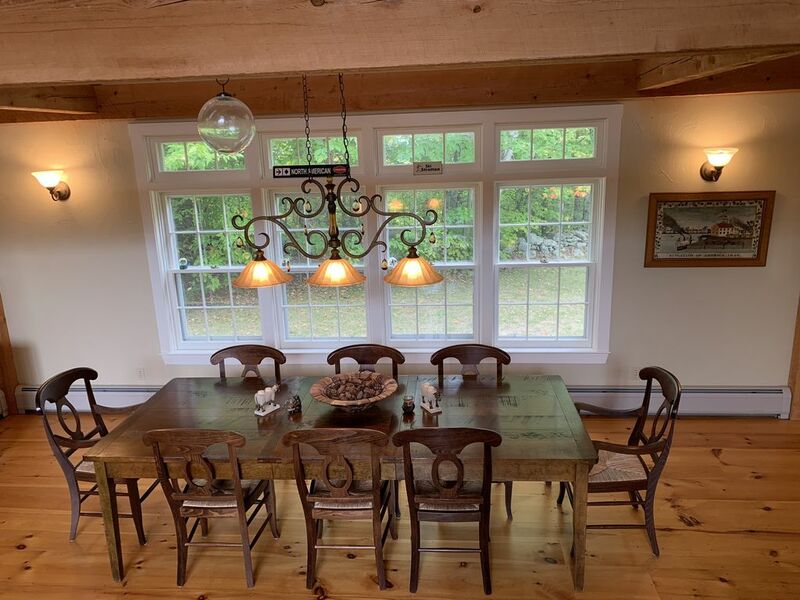 It is not only a hidden gem, yet giving the convenience of Stratton mountain`s shuttle comes right to the end of the driveway every hour; a very spacious home, well-furnished to provide coziness for a mountain retreat away from home!! One minute to Stratton`s beautiful Golf courses. Two miles away from Stratton mountain base and the village which has the best shopping and restaurants in town. Perfect location for a family`s vacation with friends and family !! Home was very nice and perfect for our large family. Close to the mountain. Hot tub and steam shower were a plus. Perfect home for 2 families to share. Lovely and spacious. Hot tub was great after a long day skiing. Neighborhood shuttle bus or short drop off to Stratton Mountain. Would love to return. spacious home for family. Would love to rent again. Our family who are all adults had a wonderful time. We absolutely loved this house for a family vacation on MLK weekend! We had 8 of us and two kids with room to spare. The house was very clean and well maintained. We especially loved the hot tub and large open concept kitchen, dining room and family room for all of us to gather. Also the garage/basement mud room was great for all the ski stuff. We also went up a weekend of a 2 foot snow storm, which was no issue as the driveway was cleaned twice and the roads of the neighborhood were cleared. I'd definitely recommend staying here with a large group - it was also very easy to get to the slopes. Thanks Malney for a great stay!